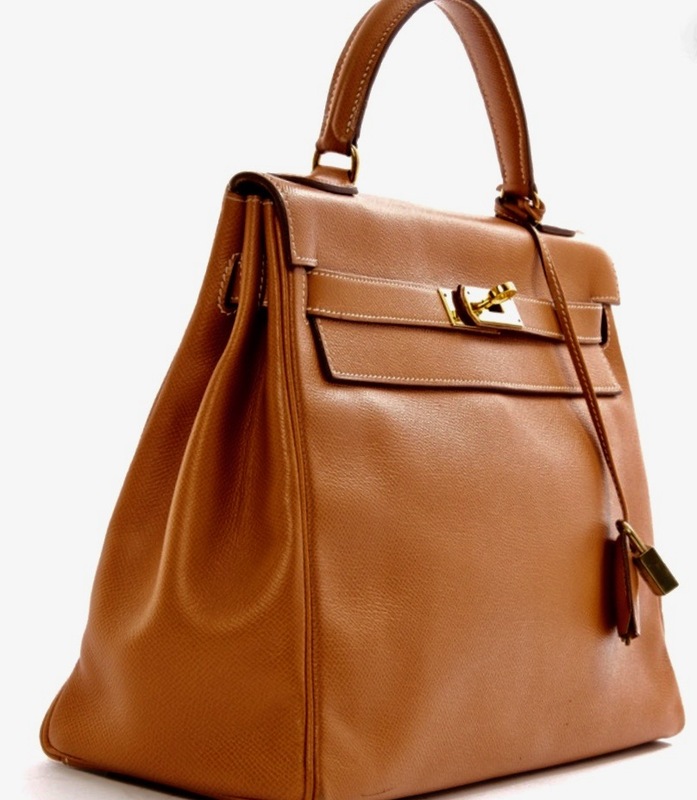 Toffee Courchevel leather Kelly "32" handbag, Vintage article, contrasted top stitchings, plated gold hardware, bag feets, one handle, high: 8cm, can be carry on the crock of the arm, leather lining, one main compartment with a zip and two patch pockets inside. Comes with the padlock, the clochette and two keys. Packaging: dustbag. "P" stamped in a circle : 1986 years.Corners are marked, the metal is marked, little marks on the bottom. Price: GBP 5 500 plus p&p.